Edge LeBreton Flats by Surface Developments is a 17-unit condo project to be completed in 2016. Discussions of Ottawa’s condo scene can often focus on highrise luxury developments, but there is also a plethora of lower priced, lowrise developments making waves. Surface Developments is one developer focusing on this niche. Their condos are all about the bespoke experience provided by company president Jakub Ulak. I met Ulak recently at one of his contemporary freehold townhome residences on Brighton Avenue. It incorporates three storeys of creative, thoughtful, contemporary design that includes high ceilings and water views and culminates in a rooftop terrace. Ulak is not only a clever designer; he is also dynamic and articulate. He got into the development game after gaining experience designing single-family homes, but after establishing Surface Developments he has now decided to focus on condominiums, tailoring each unit to the buyer’s needs. His 10-year goal is to make Surface one of the premier condo developers in Ottawa. His business model is based on “design and value-focused development” with the three main underlying principles being design, quality and value. A standard unit comes pre-upgraded and few buyers make further upgrades. “Our focus is really to give people the opportunity to get the luxury condominium they’ve always dreamed of … at a price that they can afford,” says Ulak. He offers a “bespoke” service by giving clients the opportunity to sit down with him and design their condo’s layout according to their lifestyle and needs. This process often comes at a steep price, but Ulak understands the desire for customization at lower cost. Ask Ulak what project he’s most excited about and he cites Edge LeBreton Flats, a 17-unit development to be completed in 2016. 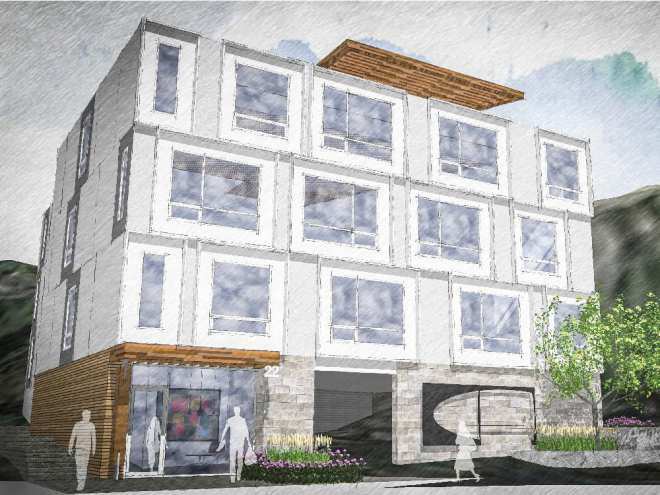 The project offers “lower, boutique infill condominiums” — Surface’s specialty. It will feature one- and two-bedroom units from 500 to 850 square feet starting at $189,900. To keep condo fees low, Surface will provide a single amenity: a superb rooftop terrace that will overlook the Ottawa River. The next project in the pipeline will be on Greenfield Avenue, near Main Street and Echo Drive, a perfect location from which to capitalize on Rideau Canal views. Ulak sees two condo trends: affordability and spaces that are environmentally friendly. In his opinion these are more important than esthetic trends. “Condo builders are going to have to try to adjust their offerings to make sure that people are getting as much value as possible,” he says on affordability. He does this by creating smaller units that feel larger than they are by varying ceiling heights and adding superior design elements. Architecturally, this breaks up the space and the end result is a feeling of spaciousness. As for environmentally friendly trends, he’s also got buyers covered there through features such as LED lighting, low-flush toilets and hydronic heating. Does he feel the Ottawa condo scene in general is overbuilt? “There’s probably more inventory on the market currently than the market needs, but that’s going to be absorbed in the next year or two,” he says, adding that he doesn’t think there’s too much now under construction.